I've been working on several things over the last week but all things I've written about before, for example I made 4 antique clock face pincushions and sold two already! 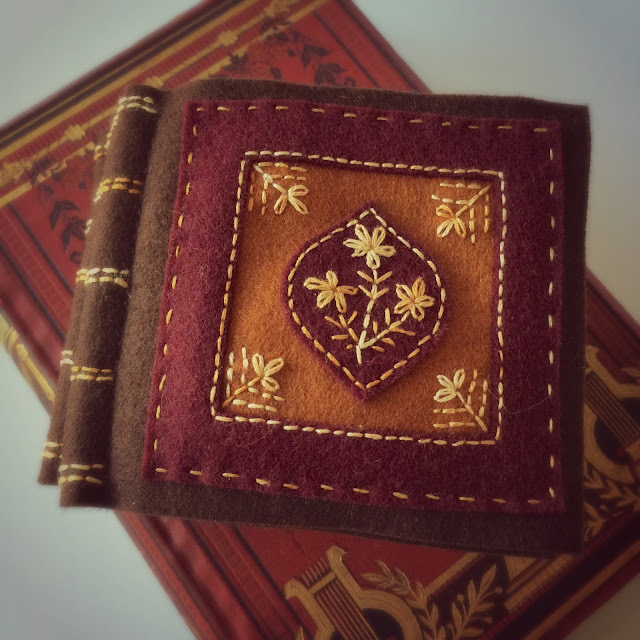 I've also made 4 more of these antique book needle books. 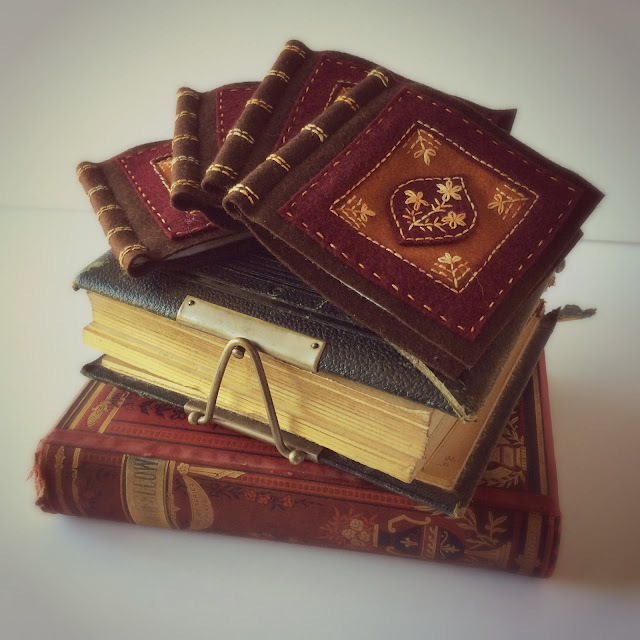 If you are curious, my needle books measure 4inches by 3.5inches and have three pages for storing and organizing needles. 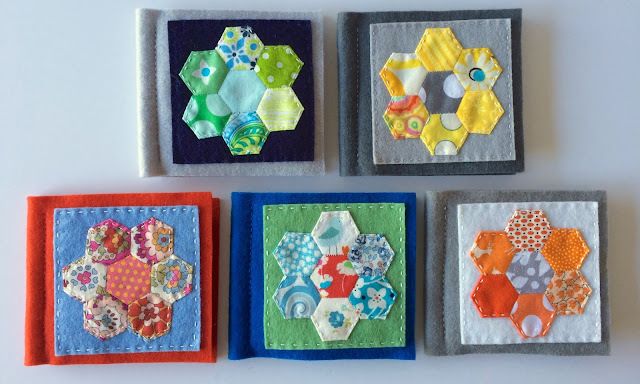 In between making those, I've finished two more hexie needle books. I like making these. 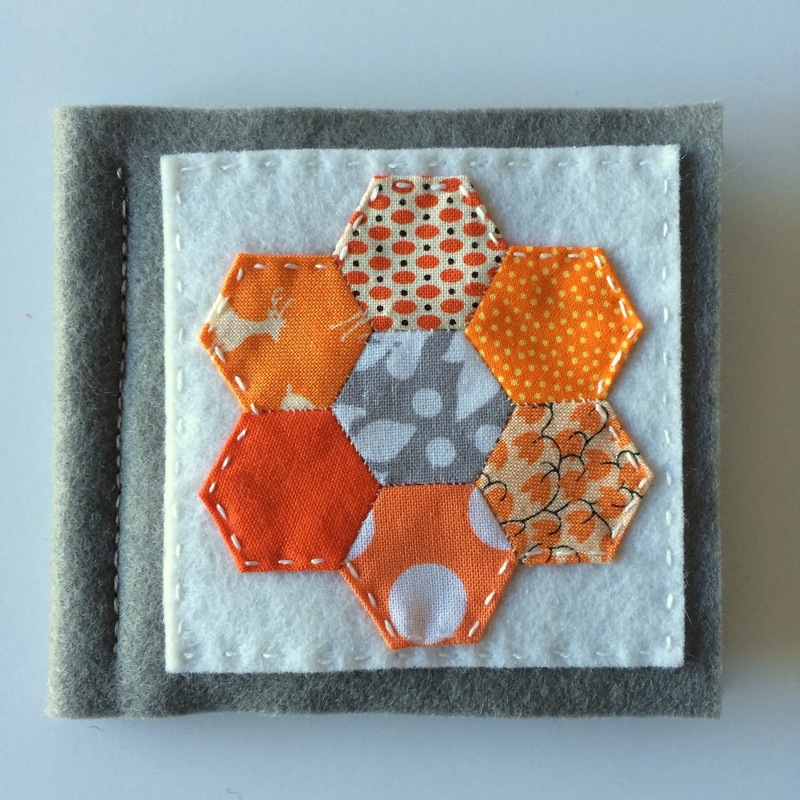 Hexies make me smile! They are a great portable little project too. I have a few of these finished now and a bunch more hexies cut out and ready to sew. I am not listing these in my shop, but saving them for the quilt show in September (which will be here before you know it!). 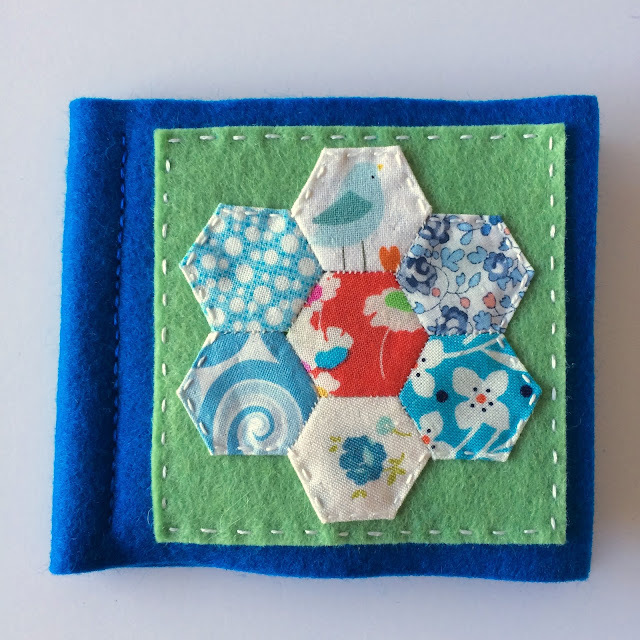 .......it feels a bit ridiculous to be thinking about a pincushion with grey clouds! 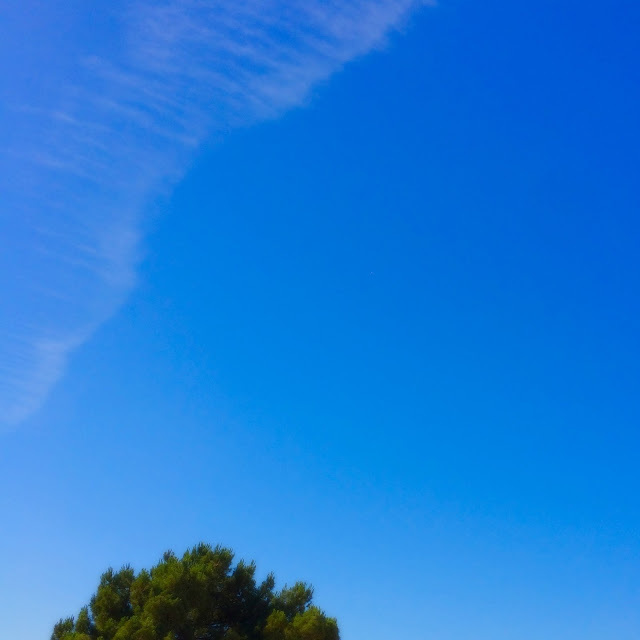 Maybe my upcoming trip to England is subconsciously making me think of clouds!